St Barnabas Church in Stoke, neighbours one of the entrances to Isel Park. Thomas Marsden, the founder of Isel Estate, donated land to a school in 1851. Nelson's first stone church was built there in 1866, and remains as the chancel and sanctuary of the extant church building. 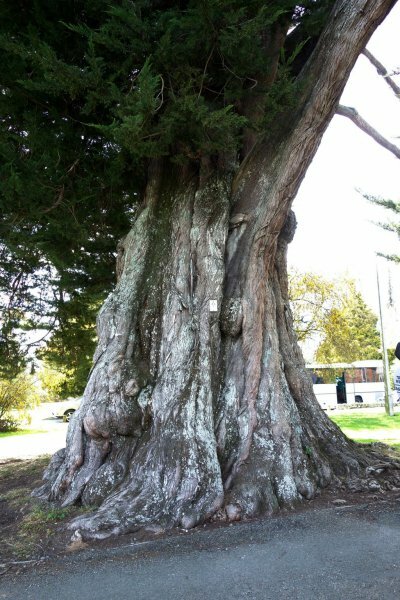 A large macrocarpa, its character shaped by numerous storms over the years, is near to the road at the front of the church property. It is possibly one of the original Isel Estate plantings, undertaken by Thomas Marsden and his son James between 1845 and 1865, before the the land was transferred to the Anglican Church in 1864. 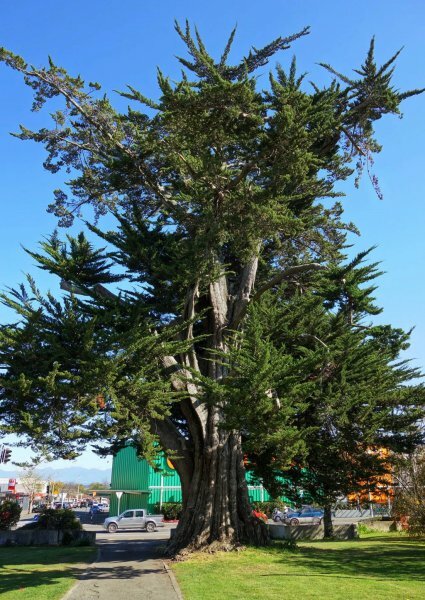 The tree was measured by Smillie, Cadwallader et al. during a field trip as part of the 2015 NZ ARB Conference in Nelson. Some lost branches over the years, but still maintains vigorous foliage. Low branching from around 2 m.
02 Oct 2015 Smillie, M.J, Cadwallader, B.G et al. At the front of the church grounds, adjacent the road.